Antonia Okafor: I didn't mind the swimsuit competition when I was in pageants. But it was used to body shame us. Antonia Okafor I didn't mind the swimsuit competition when I was in pageants. But it was used to body shame us. The end of Miss America's bathing suit showcase is an acknowledgment that pageants need to grow with the times, in more ways than one. So, hearing the news that Miss America will forgo the swimsuit competition, I shed no tears; they will not be alone in the pageant universe. Many prestigious pageant systems already don’t include swimsuits in their competition: the Miss World and Miss International systems both focus on fitness wear or sports to gauge how athletic a contestant really is. And both systems somehow still manage to pick the most beautiful and fit women in the world as their winners. The entire pageant world already realized that old school pageantry is dying off, especially since the people who watch at home want a well-rounded, relatable human being as their winner. Some have held onto the old ways because they could — and the organization through which I came up, Miss USA/Miss Universe, has been one of them. Ironically, I initially chose to enter Miss USA system pageants because they were more inclusive: The Miss America Organization age limit is 24, but the Miss USA/Miss Universe had changed their limit in recent years to 28. I came late to the pageant world, partly because I have always considered myself a strong feminist (though I hold strong conservative beliefs) and I know that any good feminist is supposed to hate pageantry with a passion. But the other reason was, after a difficult upbringing, there was a time that, though I am only five-foot-three, I weighed 241 pounds. I finally decided to change my life and, in the course of my years worked hard to get healthy. I befriended Allie Curtis, Miss Rhode Island 2015 — a Brown University graduate, cybersecurity nerd and newly enlisted Army National Guard member. If she embraced pageantry, I thought, then there must have been something I had missed before. And so, after years of her urging, I finally took the plunge and started competing at age 27. My very first pageant was Miss Texas International; I didn’t even place. But I was bitten by the pageant bug, and so I set my sights on a pageant that would inspire me to challenge myself in every possible way: Miss Texas USA. As I continued to prepare to appear before hundreds of people in a bathing suit, I learned more about what was expected: A muscular build wasn’t celebrated, large breasts were something that could easily be purchased months in advance and stick-thin arms were the pageant girl ideal. Still, I was confused: I naively thought the swimsuit competition was about how healthy I had become, how I had lost 120 pounds and was in the best shape of my life. The divide between how the swimsuit competition was marketed and actually functioned became crystal clear after the Miss Texas USA dress rehearsals, when our chaperone preceded to body shame certain girls. Feminism and femininity can — and do — go hand in hand, but neither means or even implies that you must look "good" in a bathing suit. I looked at all the women — mostly women of color — who may have fit that description, none of whom was showing anything inappropriate for a swimsuit. We looked at each other with knowing glances and fading smirks. “It’s not attractive,” she continued. We understood: Our bodies were not welcome there. “I bet she doesn’t care about the purchased double Ds that happen to slip out of these custom made swimsuits,” I said under my breath. The other girls nodded. Still, in spite of all of that, I wouldn’t trade that experience for the world. I learned a lot, including how to do my own professional hair and makeup, how to walk, talk and speak with poise and boldly stand up and speak out about a cause you believe in (granted-of course-it fit what that system deemed “acceptable”) and that the unpleasant caricature of “pageant girls” bore no relationship to the strong, impressive women I met in the pageant circuit. And I learned that the swimsuit competition was never really about my personal fitness. I learned that the swimsuit competition was never really about my personal fitness. And it will continue to produce educated, bold, confident young women who set goals and accomplish them, and hopefully ones who are encouraged to lift up other women instead of tear them down. Most importantly, it will set the stage for other systems to make the necessary changes they need but until now have been too afraid to implement. Feminism and femininity can — and do — go hand in hand, but neither means or even implies that you must look "good" in a bathing suit. And I'm glad to see Miss America recognize that, too. 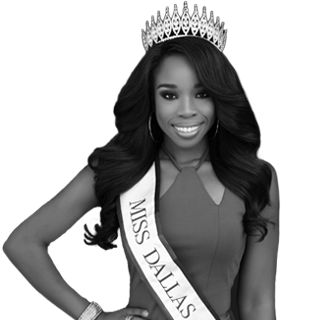 Antonia Okafor is the current Miss Dallas International 2018 and the founder and president of EmPOWERed, an organization devoted to the second amendment and self-defense rights of women on college campuses. Her written work has been published in The New York Times and The Hill and she frequently appears as a commentator on Fox News, CNN, BBC and Sinclair Broadcasting.